Also new!.... 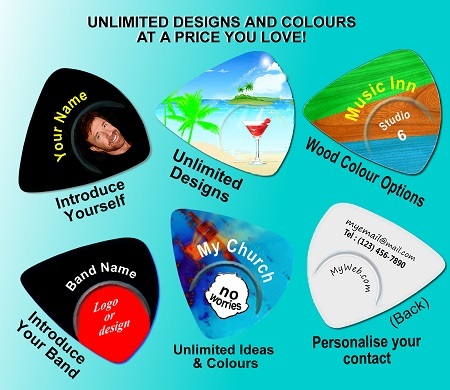 PRINTED PICKS to promote you, your band, business or just for fun. 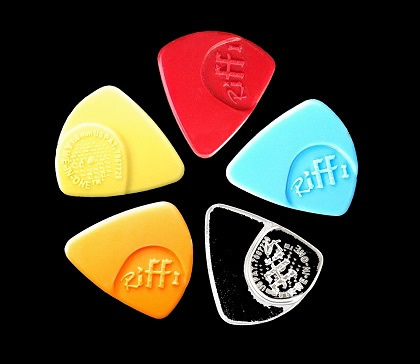 And yes, they play better too!!! "Read testimonials from our users worldwide....CLICK HERE.."
2003 © AWE-IN-ONE ENTERPRISE. All rights reserved. 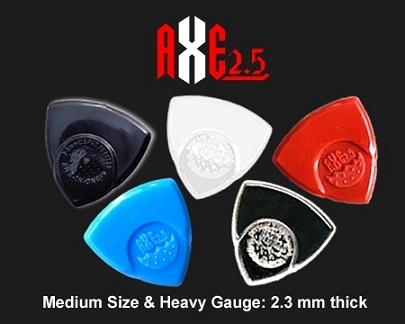 It is an honour that Ms Claudia Gamba, the lead guitarist, is using our Thrash II picks!